Latin flavors are all the rage now, and here is one of the hottest drinks. 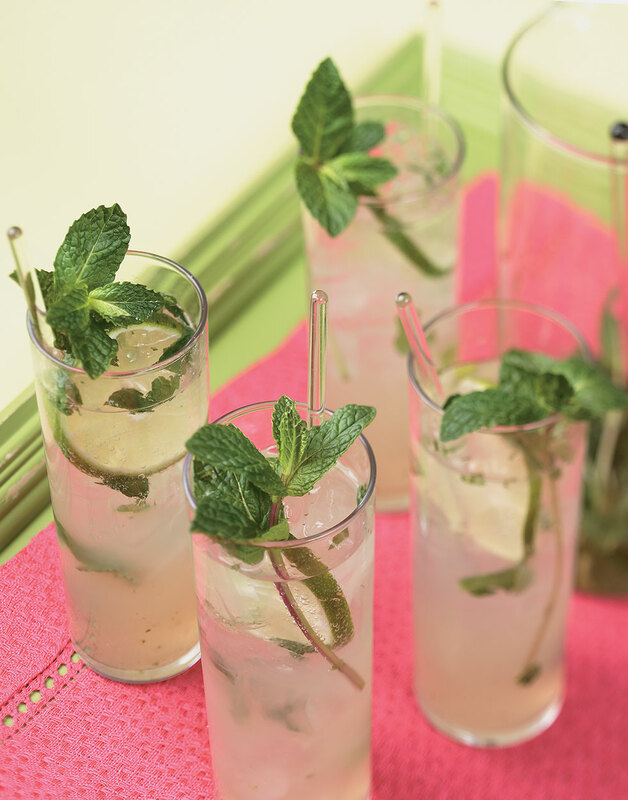 It's a refreshing blend of rum, mint, sugar, and soda water — WOW! Muddle the first three ingredients into a mash. Add rum. Strain into 4 glasses. Top with crushed ice and club soda. Garnish with fresh mint and lime slices. To muddle is to crush ingredients into a mash with a muddling tool (like a small bat). Most of us don't have this tool — a wooden spoon works just fine.